Please note that these Hall of Shame nominations were written in a moment in time (most over a decade ago) and likely have since changed or even been transformed. If the above entry is now great, or still not so great, go ahead and comment below on how it has evolved or nominate it as a great place. 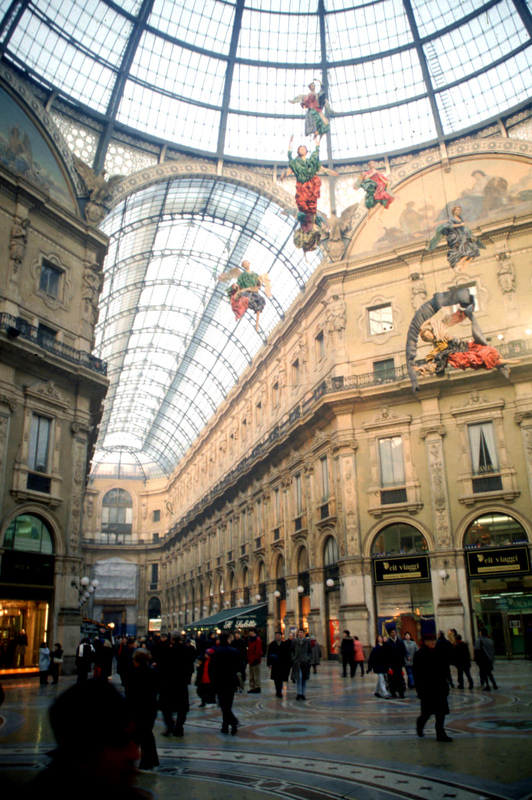 An arched, glass ceiling connects several Neo-Classical buildings, creating an indoor shopping arcade adjacent to Milan's central square. Tell us what you think about the Galleria by clicking on "Comments" below. Architect Giuseppe Mengoni refurbished the Piazza Duomo, MilanÍs central square, in the middle of the 19th Century, and built the Galleria Vittorio Emanuele II in 1877. He created a covered shopping area by building an arched iron-and-glass ceiling over the intersection of two major streets. The glass roof connected the existing Neo-Classical buildings along these two ornately tiles streets. The arcade included shops and restaurants, and offices and apartments occupied upper floors. Both the materials he used and the concept of creating an enclosed shopping area were innovative at the time. The model would soon be replicated in many cities, Naples and Moscow, to name two. 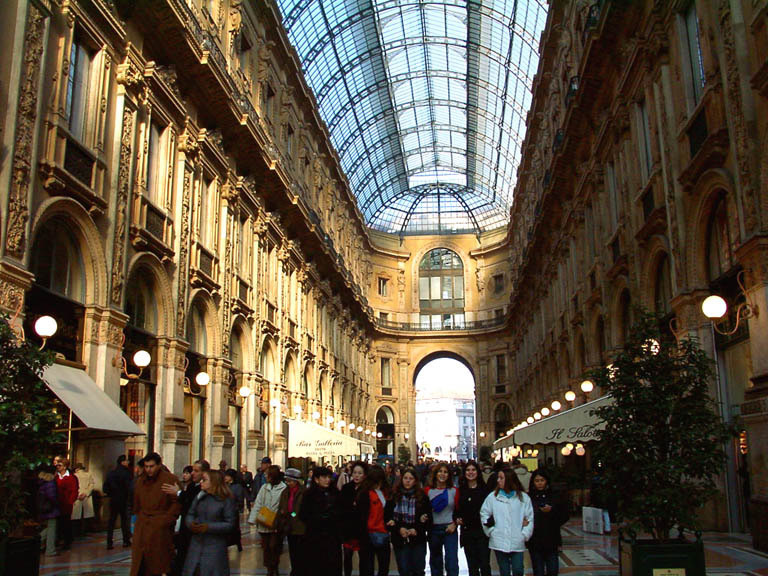 The Galleria is not completely enclosed, however; the arched doorways are open. The Neo-Classical design of the North and South entrances was intended to be repeated on the West side, but was never completed. 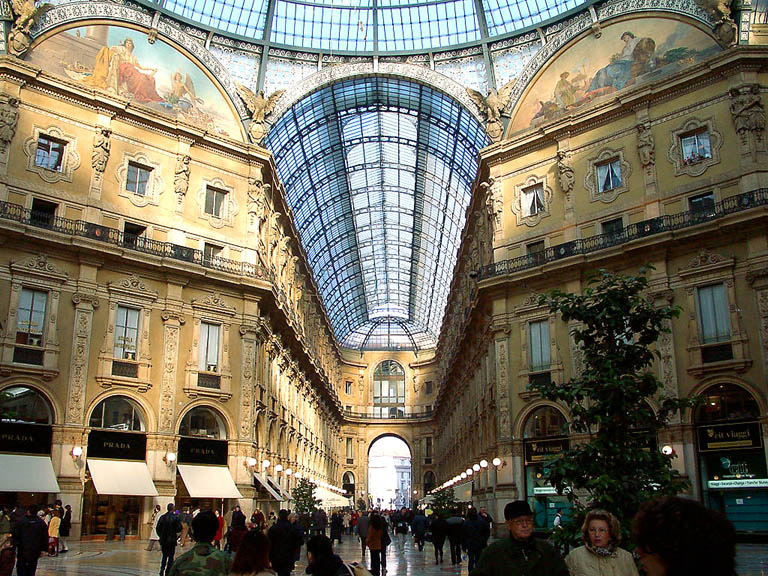 Just one day before the Galleria was inaugurated, as Mengoni was inspecting some decorative work from scaffolding, he slipped, fell, and plunged to his death. *Please note that these Hall of Shame nominations were written in a moment in time (most over a decade ago) and likely have since changed or even been transformed. If the above entry is now great, or still not so great, go ahead and comment below on how it has evolved or nominate it as a great place. A step-by-step guide to place-oriented planning and design. Includes recommendations and case studies from Boston, Miami, Denver, and Chicago, among other locales. 14 lessons from local libraries across the continent.